Congratulations! Your hard work and dedication have led you to lose those unwanted pounds. You’re probably healthier and happier than you were a few months ago. And now you face the new task of addressing loose, saggy skin. In addition to the body image issues, this loose skin can cause physical discomfort and limited mobility as well as ulcers and infections. The best way to avoid loose skin associated with weight loss is to lose weight gradually. Losing one to two pounds per week helps maintain muscle mass while losing fat, allowing the skin to adjust as weight reduces. 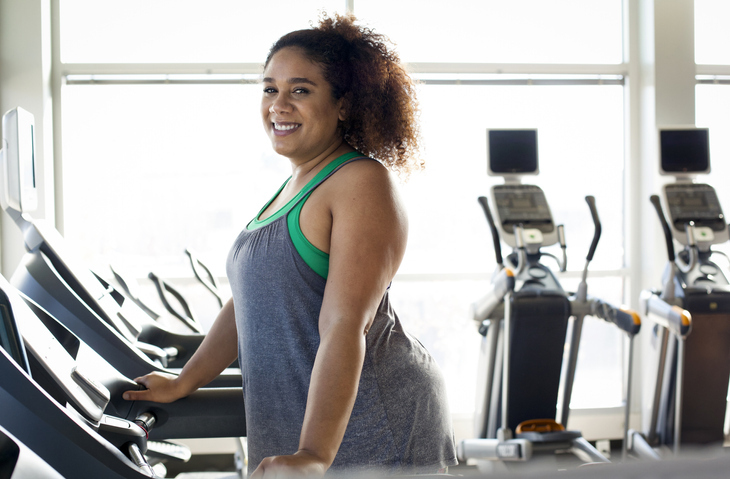 However, if your weight loss was rapid, as in the case of bariatric procedures like gastric sleeve or bypass, you likely lost that weight faster than you gained it. So, your skin can’t keep up with your progress. And the elasticity of your skin will depend on how long you carried that extra weight. Finally, age and genetics are factors…the older we get, the more we lose elasticity. Skin is your body’s largest organ, with an inner layer consisting of proteins such as collagen (about 80%) and elastin. Collagen is the source of strength and firmness, while elastin provides elasticity, helping your skin stay tight. Resistance training helps burn more calories, increase muscle mass and often helps improve the appearance of loose skin. Firming creams may temporarily give a slight boost to skin tightness, though collagen and elastin molecules are too large to be absorbed through your skin. In general, collagen must be created from the inside out. Adequate protein is vital to healthy skin for everyone. Lysine and proline are amino acids essential to collagen production, as is vitamin C. Omega-3 fatty acids also help increase elasticity. Water is essential to good health for many reasons and remaining well-hydrated may improve the skin’s appearance. On the more involved end of the spectrum, body-contouring surgical options to remove excess skin include abdominoplasty (tummy tuck), lower-body lift (belly, buttocks, hips, and thighs), upper-body lift (breasts and back), medial thigh lift (thighs) and brachioplasty (upper arms). While surgery is the most common procedure, less invasive options come with a lower risk of complications. VelaShape uses infrared light, radiofrequency and massage to reduce loose skin. And while ultrasound treatment has not proven to reduce loose skin, patients reported pain relief afterward. Whatever option or options you ultimately choose for yourself, hold on to that satisfaction from accomplishing your weight loss. Learn more about how to avoid loose skin and ways to minimize it with an exercise plan or surgical options by talking with your doctor.